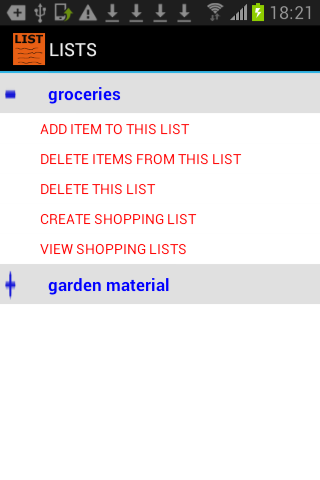 Create a list of items for a particular category of products, for example, groceries. When you want to create a shopping list for a particular category, you can just quickly select from items in that category. 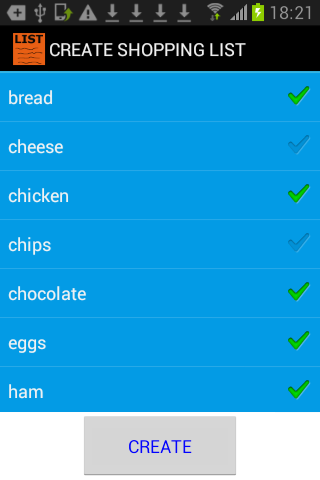 You can add or remove items from the category as you wish. 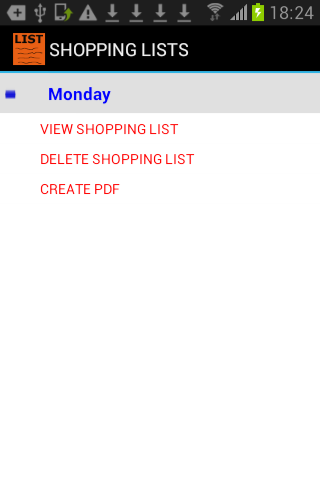 A PDF file for a particular shopping list can also be created easily.